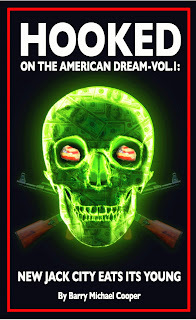 Hooked On The American Dream: 22 September 2011! New Jack City Eats Its Young! 22 September 2011! New Jack City Eats Its Young! 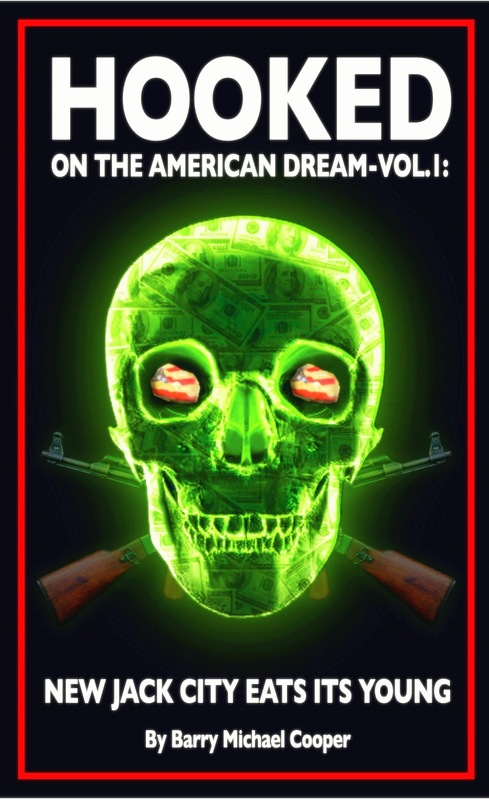 Hooked On The American Dream-Vol.1: New Jack City Eats Its Young, is a collection of my investigative reporting from the 1980s. It will include 'Kids Killing Kids: New Jack City Eats Its Young," the 1987 Village Voice cover story that was the blueprint/cornerstone for the hit 1991 Warner Bros film "New Jack City," which launched the careers of Wesley Snipes, Chris Rock, Ice-T, Allen Payne, and Mario Van Peebles. There's also "Crack," the February 1986 cover story in Spin Magazine (which was the first national story on the emerging crack cocaine epidemic), along with the the Village Voice feature stories "Teddy Riley's New Jack Swing," (the story where I coined the term "New Jack Swing") and the rare "The Larry Davis Show" (which was the foundation of the highly-rated episode I produced for the BET/BIO Channel crime doc series, "American Gangster"). Hooked On The American Dream Vol.1-New Jack City Eats Its Young will also include newer essays (including a section on the American music-film-fashion and business mogul Sean "Diddy" Combs titled "Sean John Combs: Once Upon A Time In America") and a short story titled "The Diary of Nino Brown (The Untold Story of a Street Legend)." Available on Kindle/Amazon Thursday, 22 September 2011, GOD Willing! I'll be looking for it. Will we be able to add it to our ibooks reader.